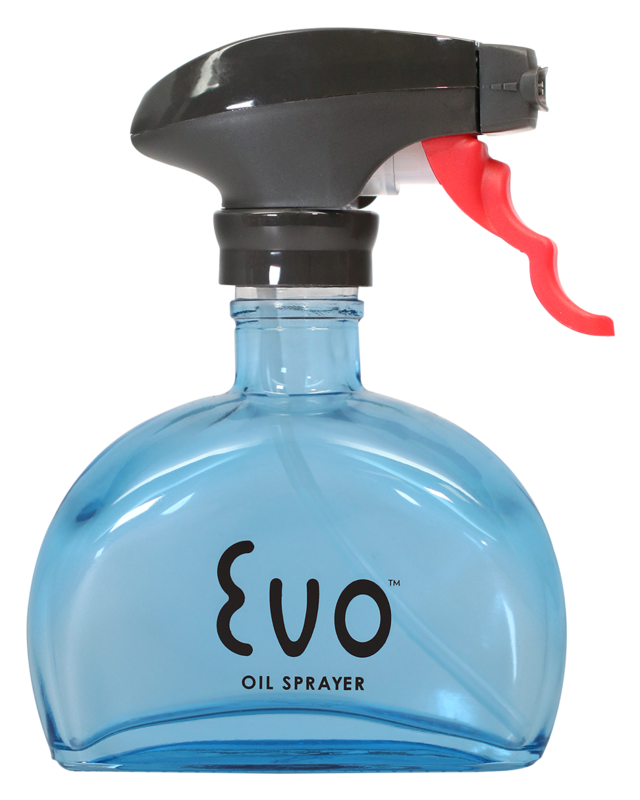 The world’s first non-aerosol trigger sprayer with a unique fan-shaped spray, dispenses cooking oil without harmful additives, propellants or chemicals. 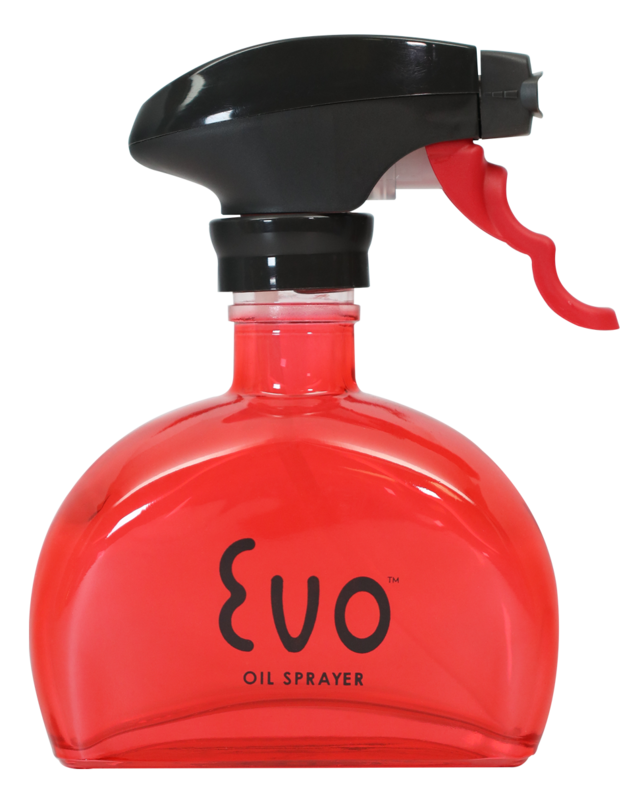 Its 6-ounce capacity keeps the most used healthy cooking oil ready where needed, in the kitchen and at the grill! Perfect for olive oil, extra virgin olive oil, canola oil, avocado oil, grape-seed oil, and many more. 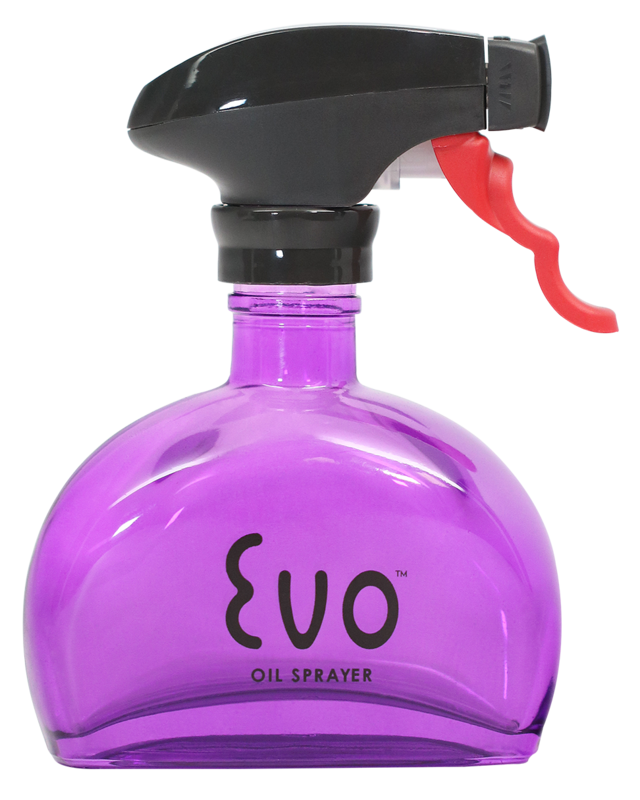 Infused oils with herbs and spices also work well with the Evo oil sprayer. 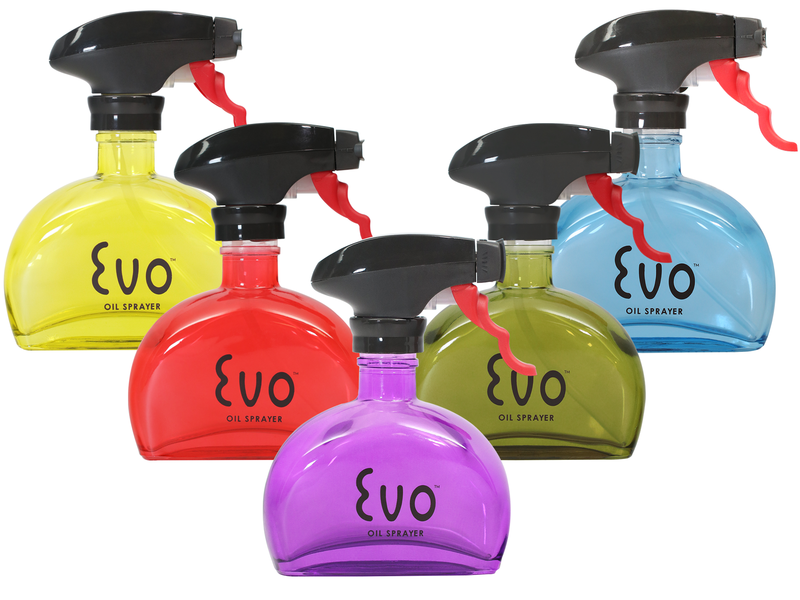 Great for balsamic vinegar, fruit juice, lemon or lime juice, cooking wine, and much more. Makes preparing healthy meals and practicing portion control much easier! Evo glass non-aerosol oil sprayer dispenses cooking oil and vinegar in a fan pattern without harmful propellants or chemicals. Made from glass; BPA, latex, and DEHP free; economical, reusable, recyclable. Consistently dispenses 1/4 teaspoon per trigger pull; fan pattern covers more cooking surface using less oil. Prepare healthy meals with less oil; great for vegetable, olive, canola, peanut or sesame oil, even balsamic vinegar; no harmful propellants or chemicals. More economical than using aerosol cooking spray. Dimensions: 5.8" x 5" x 2"
Case Dimensions: 12.625" x 14" x 15.375"